Turns out, even though both technically make you a New Yorker (Yawker? ), living in New York State and living in NYC are kind of not the same. At all. In any way. Whatsoever. Nope. Not. Even. A. Little. Bit. Seriously. Just. Stop. 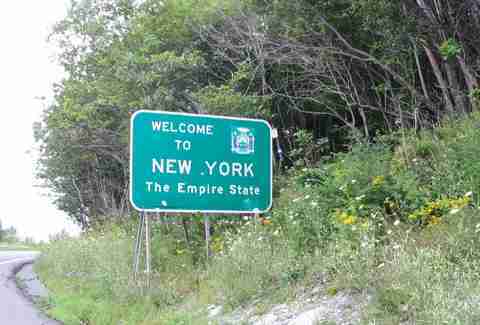 Here're 13 ways in particular that living in NY State is totally and completely different than living in NYC. When traveling -- both domestically and abroad -- when you say you’re from New York, everyone will automatically assume you mean New York City. You will see their face light up with interest, and joy, and intrigue, and that will all come crashing down when you clarify where you're ACTUALLY from. Even when you make it a habit to say "Buffalo, New York", the follow up question will 100% of the time, always be. "Is that in/part of/close to New York City?". While people in NYC can occasionally be blissfully ignorant of the state at large, living Upstate, your entire geographic existence is centered around where exactly you live in proximity to NYC. You know how many miles away you are from NYC and how many hours it takes to drive there in five different weather scenarios. You're not a "New Yorker"
Those were "air" "quotes" by the "way". Strictly speaking, you are a resident of New York State, but the only people who refer to themselves as New Yorkers are people who live in the NYC area. Like, if you're from Buffalo, you don't refer to yourself as a New Yorker, you refer to yourself as a Western New Yorker. 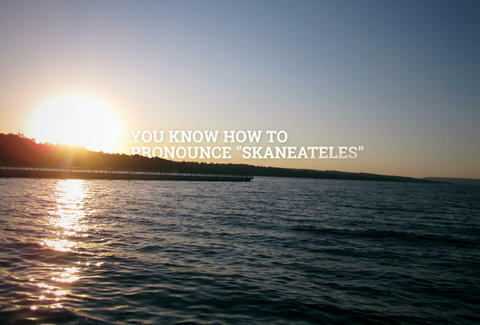 Like Canandaigua, Chautauqua, Schenectady, Skaneateles, and Oneonta (don’t ask us how to spell them, though). You don't consider where you live to be "Upstate"
To New Yorkers (remember: just people from NYC), anything North of the NYC metropolitan area is considered Upstate (so basically anywhere other than NYC or Long Island). Thing is, if you actually live "Upstate", you're way more territorial than that. There’s Western New York, Central New York, the Southern Tier, and the Finger Lakes, to name a few. 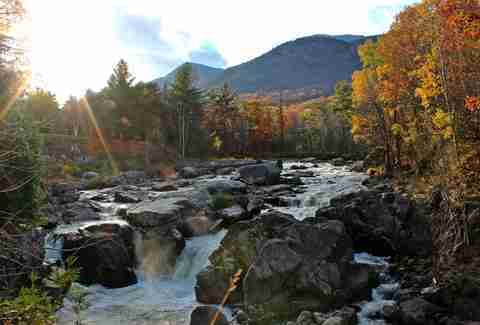 People from Upstate NY will often debate with one another on what truly is "Upstate" and what isn’t. When Rando McRandomson thinks of “New York foods”, his first thought might be New York-style pizza, bagels, mile-high pastrami sandwiches, and maybe even a Cronut or something. But there are a bunch of other awesome foods New York State lays claim to. 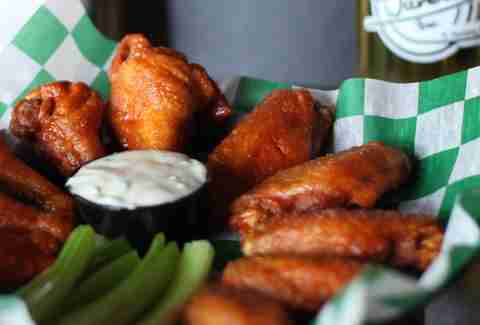 Chicken wings were invented in Buffalo, but don’t call them "Buffalo wings" or "hot wings". They’re chicken wings. Or just wings. And just as it’s a rite of passage for New Yorkers to have strong opinions on where to get the best slice of pizza, it’s a never-ending debate between Buffalonians on where to eat the best wings in the city (it's Bar Bill Tavern, by the way). And don’t even think for a minute you'll be able to find a better wing outside of Buffalo. Rochester is also responsible for creating one of the best late-night snacks/day-after cures there is, known as the Garbage Plate. Don’t be put off by the name, because it’s delicious. 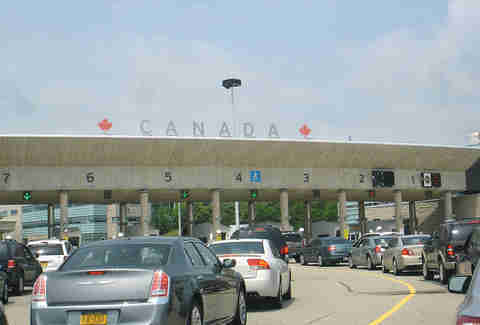 New York State borders Canada, with various ports of entry Upstate -- basically if you're from Buffalo, you've made the trip up the QEW to see your favorite band play in Toronto, and if you live in Champlain, you've popped over to Montreal and all its French Canadian glory to sample some poutine and take in a Canadiens game, maybe even at the same time. First: everyone shares Syracuse, which can be good! Sometimes! Second: if you live too far to like the NYC teams, you're left with the Bills. And third: travel a little more Central and 1) basically anything goes, and 2) everyone will judge your Starter jacket hard. Thank you world wonder Niagara Falls, boating on one of America’s Great Lakes, hiking and skiing the Adirondacks and the Catskills, and taking in some of the best fall foliage this country has to offer. New York State has one of the most comprehensive systems of public universities and colleges in the nation. 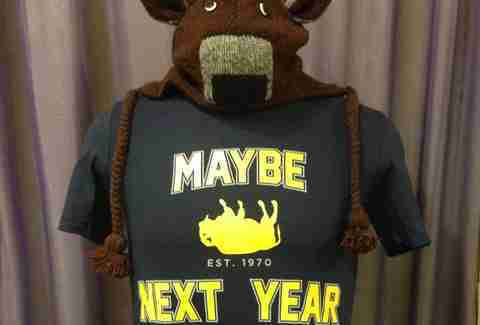 And with that, there’s a good chance you and your friends’ alma maters are SUNY schools, and there's an even better chance you have a strong opinion about whatever schools those are -- like how that one chick probably only went to Fredonia for the crazy parties and FredFest. In 1916 in Rochester, NY, the world’s greatest supermarket was born and nothing has ever been the same. Seems like a dramatic statement just for a grocery store, but anyone from Upstate New York will understand. Ask any expat from New York State what they miss the most about living here, and many of them will answer with "Wegmans", even before saying "my friends and family". 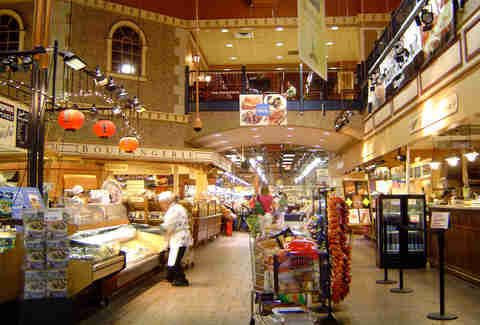 Yes, we’ve shopped at Trader Joe’s, Whole Foods, and even Zabar’s (at the insistence of our New Yorker friends), but we will keep coming back to Wegmans, thank you very much. But you know why. NY State was just named Wine Region of the Year by Wine Enthusiast Magazine, which even called it "one of the most vibrant and promising wine regions in the world". 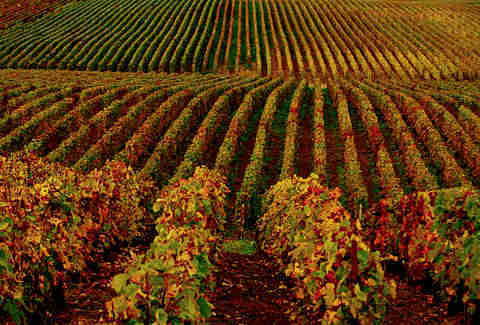 The title is largely thanks to the Finger Lakes region and its miles of charming, quaint, winery-laden lakeside towns. Caroline King is a writer based in Buffalo, NY who enjoys having good times with good people, and is always looking for her next adventure. See more of her writings on her blog, or watch her struggle to keep her ramblings to under 140 characters on Twitter.